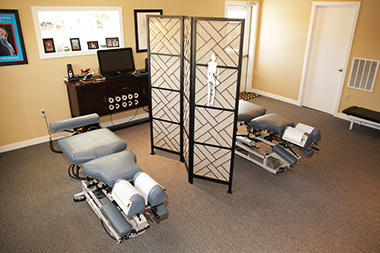 We are so glad you decided to take a closer look at our Wellness Chiropractic Care. We know there are a lot of different Chiropractors in York, but we are confident our approach to your health and well-being will work wonders for you! We truly appreciate your trust! When you first come to see Dr. Sheaffer, there are a few forms to fill out so we get a better understanding of your current health situation as well as your health and wellness history. Many times, our patients are exhibiting the results of long-standing childhood through adulthood accidents and injuries which “went away” but are coming back to haunt them now! The human body has an amazing ability to heal itself if given the chance and proper, timely adjustments! Each form is a PDF document file. If you do not already have AdobeReader® you can easily download it for free. If you have access to a printer and can download and fill out our forms you can save time on the day of your first appointment and can arrive 5 minutes ahead of time to ensure you get seen by Dr. Sheaffer in a timely manner! No printer? No problem — just come in about 20-30 minutes ahead of your scheduled appointment — we have copies of our forms in our office too! Once you arrive in our office, our friendly staff will be there to greet you and collect your paperwork. Now you get to relax — you’re in good hands and on your way to achieving your health and wellness goals! Our New Patient Coordinator will be with you shortly! Ready to make an appointment?! Call us today at (717) 843-9355 or email us and we will get you on your path to health and wellness!